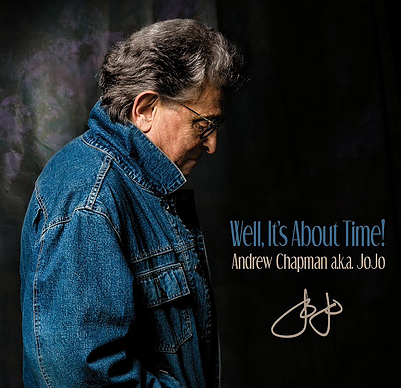 Blues singer-songwriter Andrew JoJo Chapman returns with new release "Well, It's About Time"
It was in the late 1960's at a small Houston nightclub named the Act III that Andrew Chapman first met Tony Braunagel. Chapman was watching his friend Johnny Winter and his brother Edgar perform, with Tony’s friend and neighbor Willie Ornelas on drums. Braunagel had a band called Buttermilk Bottom, and Chapman came on board to manage them and helped them release a single through Polydor Records in 1970. Chapman and bassist Terry Wilson formed a band known as The Bloontz All Stars which Braunagel later joined. Ron Johnsen, engineer and executive director for Electric Lady Studios, auditioned and signed the group in 1972. After a stint as the male lead in the Houston run of a play by Broadway's C.C. Courtney called "Ripped and Wrinkled," Chapman recorded an album with Bloontz at Electric Lady in 1972-73. 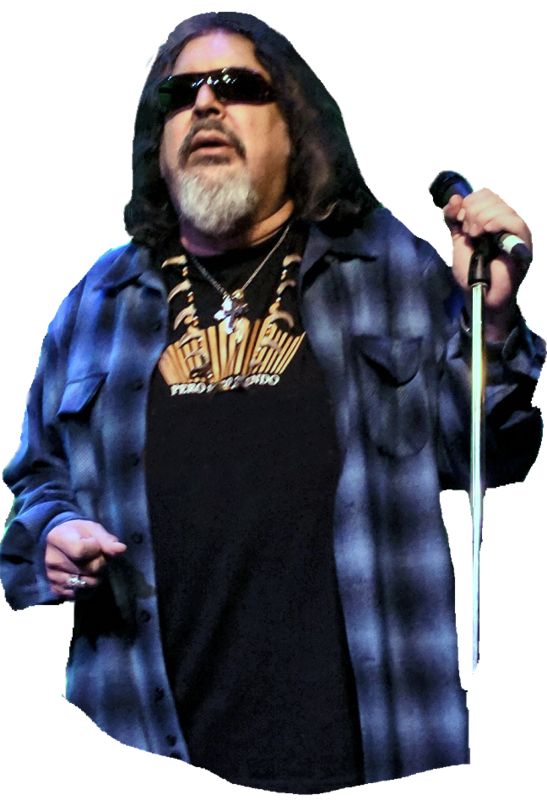 Eventually, he and other members of the group signed on to tour with Houston's Johnny Nash (hot on the heels of Nash's massive hit ”I Can See Clearly Now”), playing legendary venues such as the Bitter End in New York and the Civic Auditorium in Santa Monica. Chapman ultimately tired of the industry -- "I loved the music, but the business turned me off," he says -- and began a successful corporate life in hotels and investment banking. But he continued to hit the studio with his friends periodically. A couple of years ago, he decided he wasn't finished with music, so he reached out to his former Bloontz All Stars band mate Terry Wilson, who had become a respected producer and engineer. Recording in Los Angeles, London, Houston, Nashville, and Mobile, Alabama, Chapman and his fellow musicians sent tracks to their keyboardist friend John “Rabbit” Bundrick (The Who, 1979-2012) for his contributions, and had Braunagel jump into L.A.'s Ultrasound Studios to add drums. "The trust level between us was amazing," Chapman says. "This record greatly exceeded my expectations." The Cold Heart Revue have a lot to live up to. Their first single (You’re A) Picture On A Wall hit iTunes No#1 Blues Singles Chart and they are a big new name as the young blues band of the moment on the European festival circuit. 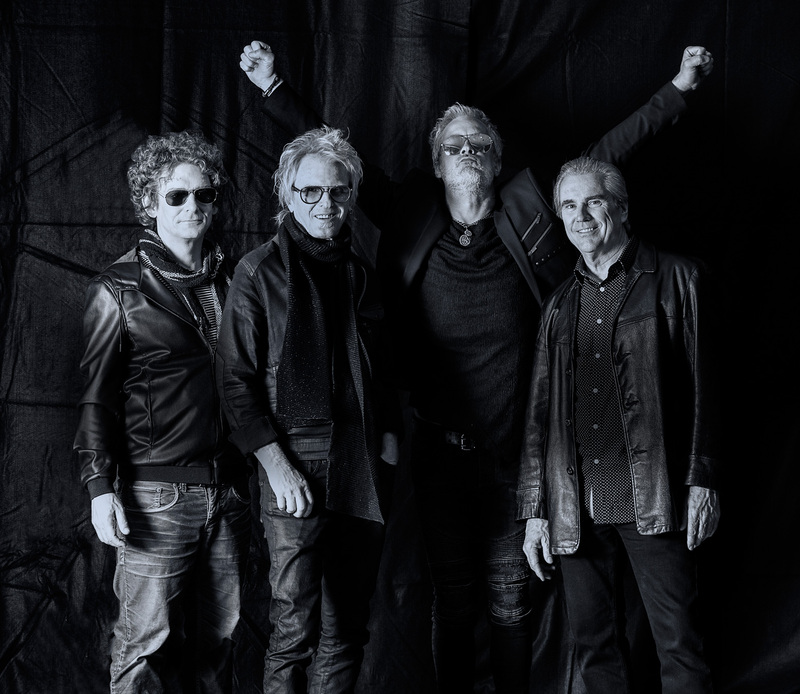 Their touring work at the Isle of Wight Festival, Bluesfest and Brighton Blues Festival has generated a big following that they must be keen to impress. The heaps of expectation would make a lesser band short of breath. 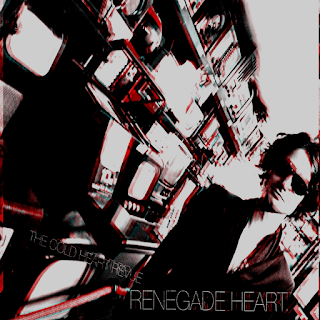 Their new album release is Renegade Heart and is now available. 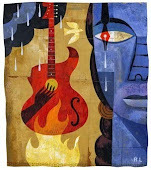 Thankfully The Cold Heart Revue deliver punching blues rock recordings played by a top rank band hitting their stride. The opener I Can’t Get Started is a guitar feast worthy of a Bluesbreaker Clapton and is followed fast by new tracks with a greater lyrical depth. The words are about the poor, and the over-riding philosophy of Renegade Heart is to ‘kick off your shoes and dance on the desk’ a line from standout track Hope and Magazines because it might be better than allowing your spirit to go under. They might well be right. 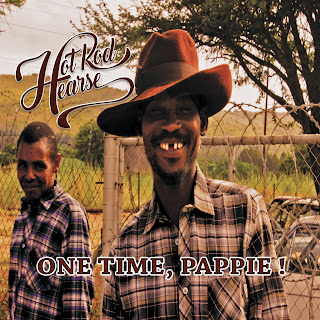 Hot Rod Hearse release their debut album “One Time, Pappie !”, they call it Thrift Shop Rock! Hot Rod Hearse are proud to announce the release of their debut album, titled “One Time, Pappie !”. 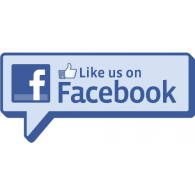 They have been featured on this blog previously. See previous post HERE. Hot Rod Hearse are from Wexford, Ireland. 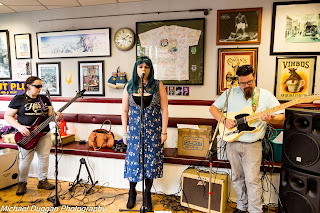 They have a unique sound, fusing together Swamp blues, Rockabilly, Folk and straightforward Rock into a sound they call Thrift Shop Rock. 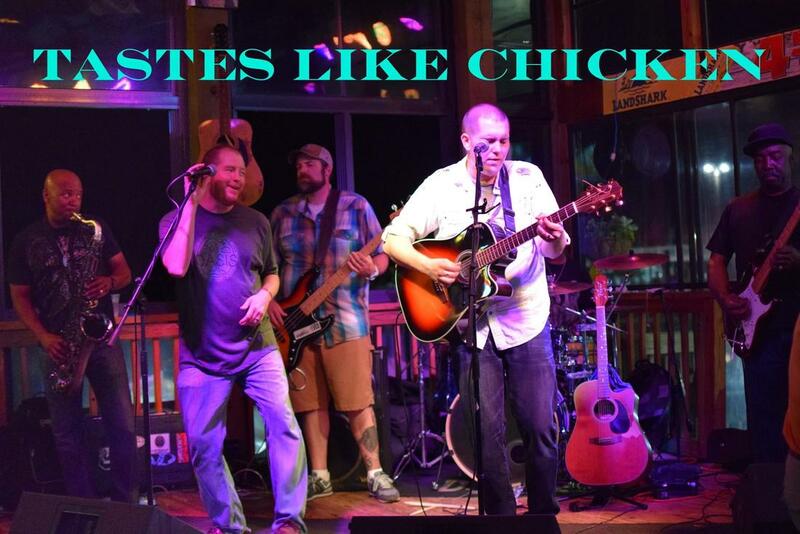 Their debut single, “There by the Road” received a lot of praise and with over 19,000 views on YouTube, it was also a finalist in the Dublin City Rounders Alt Country Songwriting Contest. 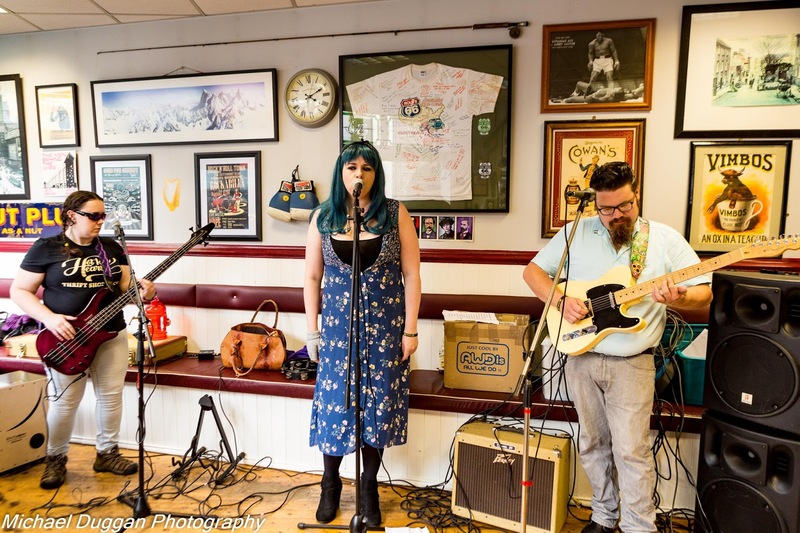 Having played the Strawberry Roots Festival in Enniscorthy, the Free Fringe Festival in Leitrim and the Dublin Rock 'n Roll Festival, an Irish tour is in the pipeline as well as thereafter taking their music to the UK, Europe and further afield. Marty's review: Hot Rod Hearse showcase their roots-based sounds on their impressive debut album. Combining blues, rockabilly, folk and rock they present their fine song writing and musical talents on this 9 track collection. The emphasis is on raunch and twang with a good dose of energy. Recently voted Best Band in the Pee Dee by the readers of Florence’s The Morning News, “Bottle in My Hand” is proof that Tastes Like Chicken know firsthand the struggles associated with the destructive cycle of dependency. The talented five piece band led by co-founders Lance and Brad Shirley create a spirited mid-tempo jam with a poignant theme and surprisingly melancholic undertones. The band have honed their talents and earned a sizable fan base by performing over 200 shows and festivals a year throughout the south and their home base of Florence, SC. 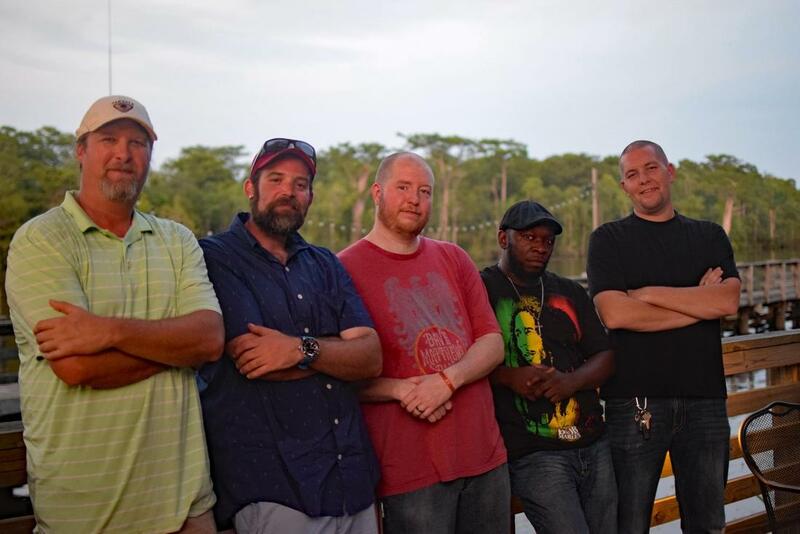 They feature tight musicianship, pristine vocal harmonies and an eclectic sound that is heavily influenced by a myriad genres of music, including jazz, R&B, country, soul, and gospel. 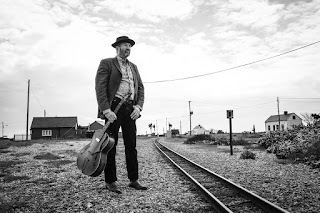 The well-traveled UK troubadour, Mick Wynne, released his debut EP on 29th May 2017 and it is available on Spotify, Amazon, Deezer, iTunes and other digital sound purveyors. The virtuoso former John Entwistle and Tim Rose guitarist Mick has selected 3 tracks from his debut LP release later this year ‘The Mysterious Abduction and Return of a Homesick Mick’ as a taste of things to come. A seasoned session guitarist Mick has Worked with the likes of Peter Green, Ron Magness, Pierre Tubbs, Patrica Morrison and the Producer Joe Gibb. The recently ‘returned’ Mick has compiled these Blue tinged tracks into ‘The World of Mick EP’. The lead single Fooled By You (ft. Alison David) is a belting soul/rock number with an overlaid lapsteel adding a country feel to the track. The song documents both self-deception and being fooled by the world around you. The other tracks on the EP Love of My Woman and You are the Message consist of a more solid blue theme. You Are The Message is an ode to Blues legend Peter Green whom Mick sees as a huge influence. The EP Consists of rustic textures; blending Soul and Blues with modern recording technique bravely exploring new boundaries while still holding true it’s root. This is roots Americana renovated for the 21st Century. Mastered at the famous Abbey Road Studio, ‘The Mysterious Abduction & Return of a Homesick Mick’ is scheduled for worldwide release later in the year. 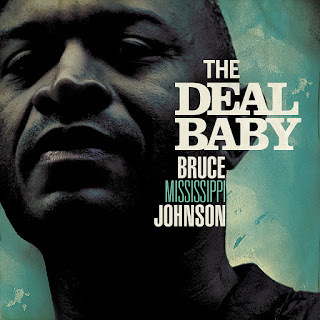 ‘’The Deal Baby’’ is the debut album from Bruce Mississippi Johnson. It consists of 12 original songs each providing a contemporary combination of ol’ school blues and soul delivered by Bruce’s unmistakable bass baritone voice. The album was recorded at Studio Davout and Studio De La Reine in Paris, France. It was auto produced by Bruce and Johan Dalgaard and mixed by Grammy Award winning mixer Veronica Ferraro at Super Sonic scale studios in France. Bruce has a voice of his own, one that straddles soul, blues and jazz, as at home singing the songs of Hendrix, Gil Scott Heron or BB King as he is with his own heartfelt songs. On stages and in studios across Europe, Bruce Mississippi Johnson is a force to be reckoned with. American Blues Pianist - Singer/Songwriter - Inducted in the Minnesota Blues Hall of Fame - Touring keyboardist for three-time Grammy nominated singer Ruthie Foster. 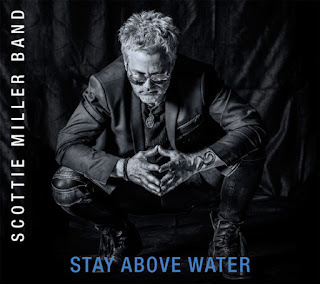 On his latest effort, Scottie Miller continues to mix celebratory, up-tempo numbers like “It Better Groove” with introspective and inspiring lyrics. Solid writing, execution and production across the disc. Not a weak track. Miller's lyrics are smart, the grooves are fat and his delivery is always full of heart and soul. He's a multi-instrumentalist with a deft touch on piano, organ, keys and mandolin. Taking influences from New Orleans R'n'B to the blues and touches of gospel, Miller spins fresh and lively tunes that are intelligent and, usually, irresistibly dance-able. Ruthie Foster makes a guest appearance harmonizing with Miller on “Keep This Good Thing Going.” Scottie and Ruthie recently co-wrote a song “I Was Called” which is featured on the upcoming 2017 release by the six-time Grammy award winning gospel group The Blind Boys of Alabama. 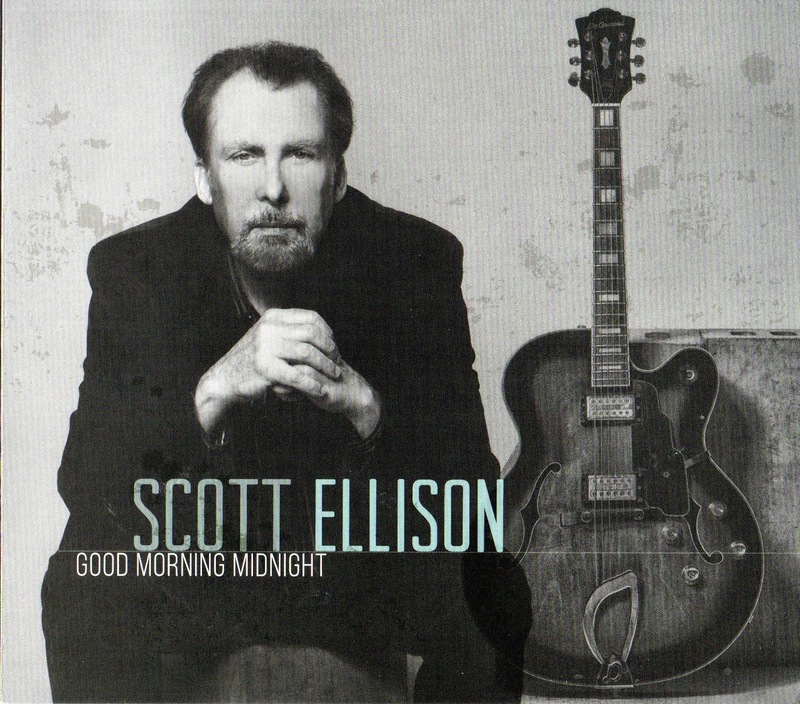 Produced by Steve Berlin (Los Lobos). Surrounding himself with a fine group of players, Scottie Miller serves up another excellent offering of meaty and engaging, rockin' blues on "Stay Above Water." Daniel Antopolsky's Funny New Outlaw Country Video Release for "Fish Bait Blues"
Bordeaux, France—June 1, 2017 –Daniel Antopolsky, the recently re-discovered folk and blues musician, announced the launch of his first-ever music video. Antopolsky, the subject of The Sheriff of Mars, a major new documentary about his life and recent re-discovery, recently launched the video of “Fish Bait Blues” from his debut album, Sweet Lovin’ Music, produced by Grammy nominated producer, Gary Gold. person in the famous photo of American music legends Townes van Zandt, Guy Clark and Suzanna Clark. Through the course of making The Sheriff of Mars, it was revealed that Antopolsky was one of Van Zandt’s close music collaborators and confidants during the crucial years of the musician’s career. it was assumed that he’d given up on music. But the opposite was true. Antopolsky was discovered in 2013 living on his Bordeaux farm with his wife and two daughters having written hundreds of folk and blues songs that, music experts say, constitute an unadulterated continuation of one of America’s greatest rock ‘n roll music traditions. Daniel Antopolsky is a singer/songwriter who’s the missing man of Country Music’s Outlaw Era of the 1970's. He left the scene in his early 20's to travel, learn life, hone his craft, and compose songs as he saw the world, finally settling down on a farm outside of Bordeaux, France with his wife to have twin daughters, One of the most prolific songwriters of “Americana” Music he didn’t record any of his songs until 2013 when he was 64 years old. Part country, blues, folk, rock – influenced by gospel and the synagogue – all blending into a uniquely optimistic Americana that comes from Daniel’s sense of humor, irony, love of nature, and a belief in the basic goodness of people despite having experienced the darkest sides of life, he’s a born storyteller, poet, and a master of playing with language. Not that he’ll acknowledge any of this. For Johnny Ray Jones, his debut album under his own name has been a long time in the making. 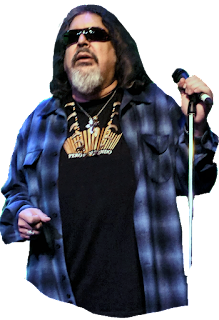 The longtime Southern California blues artist -- who's been called "the Godson of Soul" -- began the sessions for what would become 'Feet Back in the Door'' way back in 1995, when his friends Tony Braunagel, Marty Grebb, Joe Sublett and Johnny Lee Schell put together a group and recorded four songs that, for various reasons, remained unreleased. "It's like a smorgasbord of Americana and blues," says Jones of the now-finished album, for which most recording took place in 2015 and 2016. Besides "Hole In Your Soul," a Sam "Bluzman" Taylor-penned song taken from the 1995 sessions, Feet Back in the Door features a varied set of newly waxed tunes that run the full gamut of blues styles. From the smoothly soulful R'n'B vibe of the title track (written by Jones' friend Arthur Adams) to the up tempo, Stones-style "Love-Itis" (recorded by Harvey Scales in the '60s and popularized by The J. Geils Band in the '70s) to the straight-ahead blues of Z.Z. Hill's "I'm a Blues Man" and the New Orleans sparkle of Leon Russell's "Hearts Have Turned to Stone," these are some of the deepest blues you're likely to hear, sung by a man who has truly lived them. Jones also contributed one original to the project: the gritty, lowdown "In the Heart of the City," which he says was inspired by "walking through downtown L.A. feeling invisible, being alone and missing my girl." 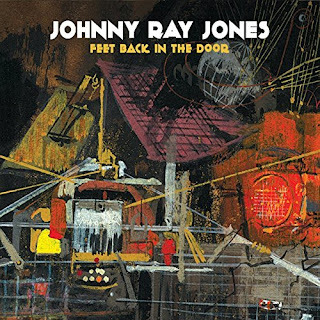 In his long career, Johnny Ray Jones has performed with a who's who of blues royalty. The aforementioned Sam Taylor was his voice coach; Percy Mayfield's wife, Tina, was his godmother; and he's performed with the likes of blues shouter Big Joe Turner and L.A.'s beloved blues-rockers The Red Devils in addition to opening shows for Leon Russell, John Mayall, and Steppenwolf. Now, with an album co-produced by Tony Braunagel and Johnny Lee Schell and with guest spots by Coco Montoya, among others, it's time for Jones to step into the spotlight. On 'Feet Back in the Door,' he does so with style.